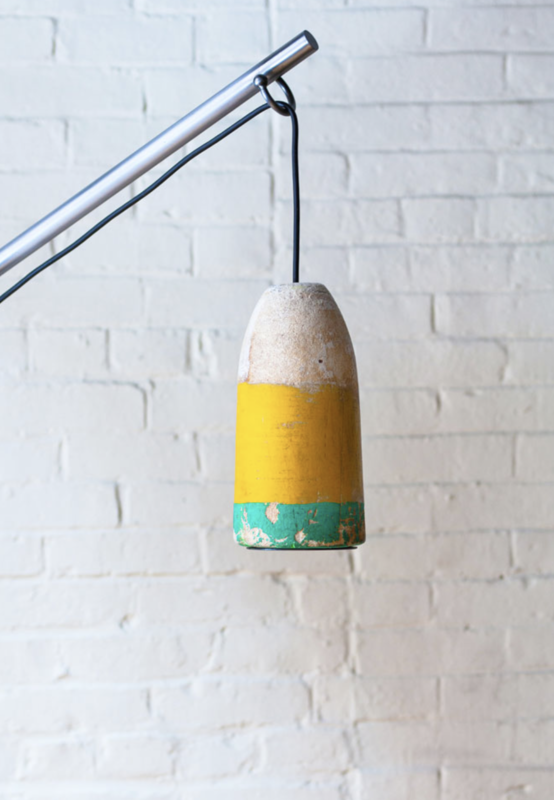 Buoy lights are handmade on the coast of Maine from salvaged buoys our lobstermen and women have lost at sea during their day to day fishing operations. 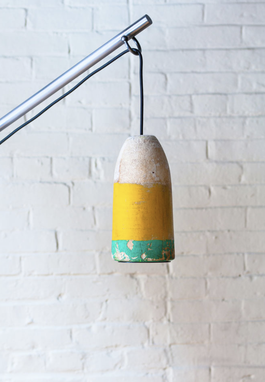 Defused natural tones weathered by sun and surf adorn the surface of each of these unique beach found treasures. 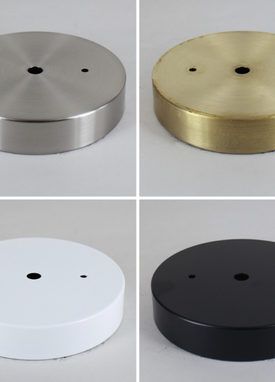 A custom brushed metal light can with a metal ring flange helps finish off the bottom of the buoys and a 5 foot black or white chord hangs from either a brass, silver, black or white canopy cover. 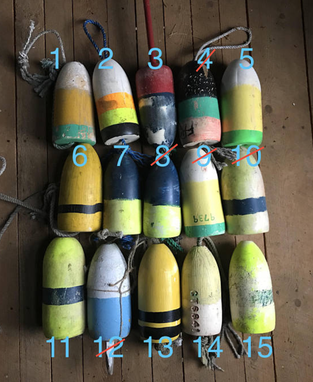 Use the reference photo with corresponding numbers to select the color you are interested in. Inventory is always changing so inquire for more options. Every maker has a story. Be a part of Dso Creative Fabrication's story by placing an order, leaving a review, and seeing your review appear here.